To set the groundwork for St Patrick’s day, we have to go back a bit. 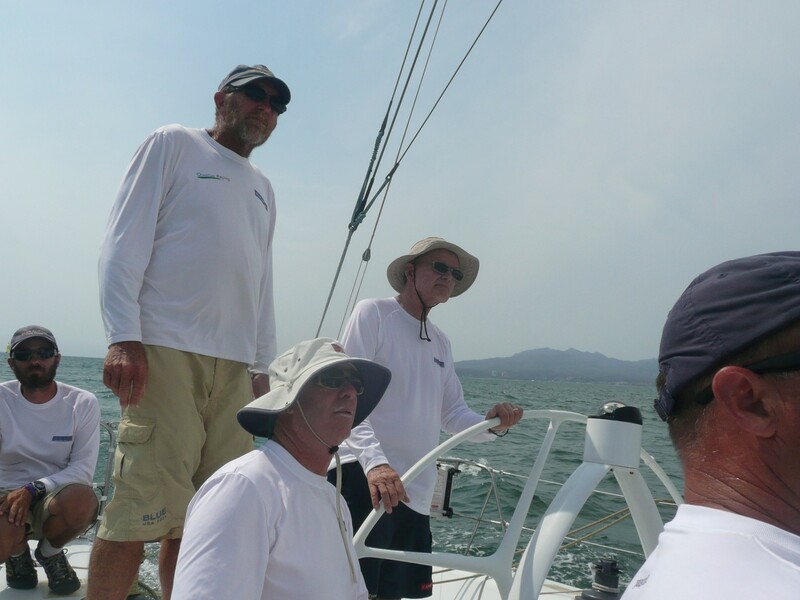 While still down in the gold coast area, we heard about a regatta up in Banderas Bay, and I wanted to be back in La Cruz in time to see about jumping on a boat for some racing. 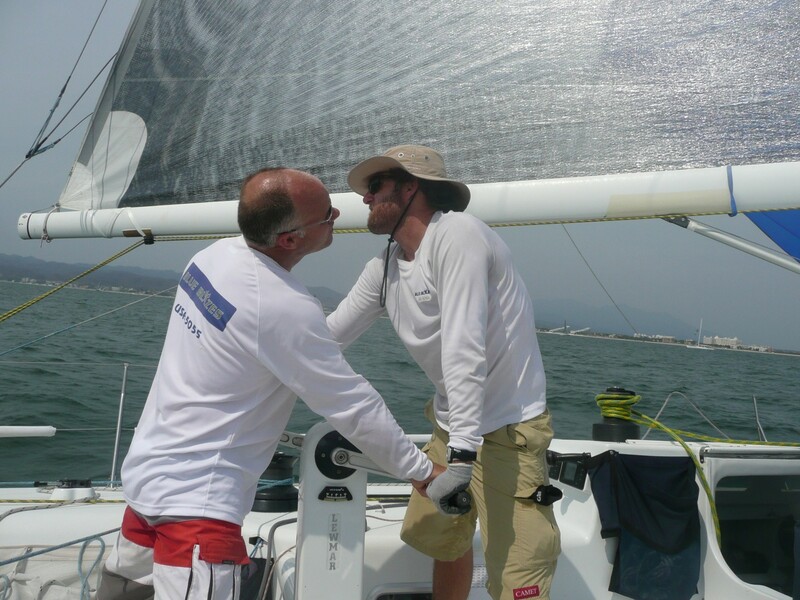 Then, in some casual conversation we found out there were actually two regattas, one for some serious race boats, and the one we were aiming to get back for, which is more of a for fun regatta with cruising boats. I was told by a fellow cruiser that I wouldn’t get on a boat in the serious regatta unless I was a “rockstar.” Well, moot point, we weren’t going to make it back up in time for that regatta anyway, he added. So, I resigned myself for some cruising boat racing, better than nothing after all. Flash forward to our arrival in La Cruz. We got the hook down around 3:00 pm, cleaned up a bit while waiting to make sure the anchor was holding us in place, and headed in for a reunion with the Huanacaxtle Bar & Cafe happy hour. As we dinghied in, we went past some jaw-droopingly, pretty race boats, but they were all at the dock, not out racing. Once ashore, we saw tents and plazas set up with banners fluttering, but no activity in them. Once seated with a 10 peso draft beer in hand, I turned to Google. It turns out we had arrived on a lay day for the MEXORC regatta, and there were three more days of racing. 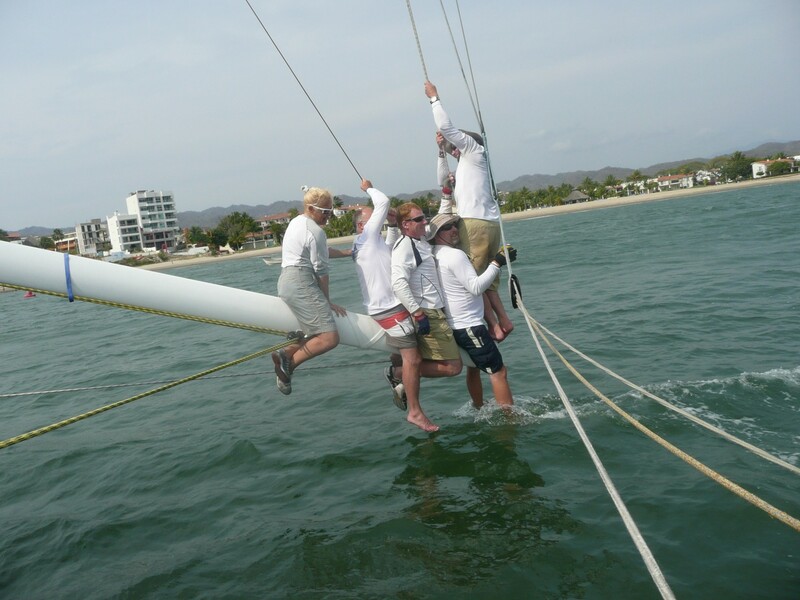 The Banderas Bay regatta, for the cruising boats, wouldn’t start until a few days after this regatta ended. The next morning found me on the dock with all the race boats, transformed from cruiser Erlin to racer Erlin. Hat from previous regatta, high tech shirt, Camet sailing shorts and Sperry sport shoes replacing my tradional t-shirt, cargo shorts and flip flops wardrobe. I began approaching boats looking for a ride. One of the prettier boats didn’t need me today, but had an opening on Saturday. When I told them I could come back and check then, they offered to just make a commitment now. Done and done – if nothing else I at least had a ride for Saturday. 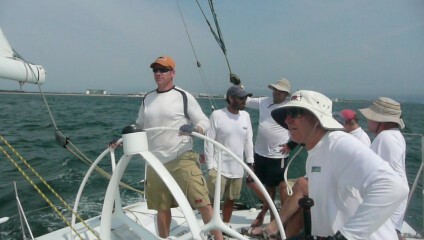 I kept asking around, and ended up on a Farr 40 named Far Out for the day. I will say – it was fun but maybe I should have asked around a bit more… It was a bit of a beat up boat and while a couple of people spoke English, the boat raced in Spanish. 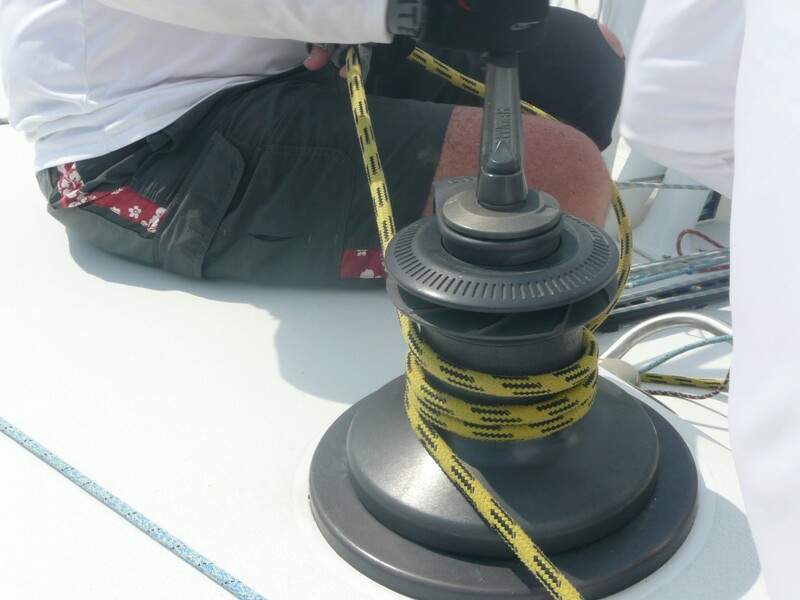 Not much of a problem when all was going smoothly, but when the spinnaker pole jaws failed on the first hoist and everyone started scrambling it got a bit interesting. We fixed it by the end of the race, ready to start the next one and we were over early. Still, it was fun to be out on the water for day on a race boat, and I had some interesting chats with the crew that did speak English. Knowing I had a ride lined up for Saturday, and with part of our reason for stopping in La Cruz to catch up on boat projects, I skipped Friday and worked on the boat. I’m slowing crossing items off the list, but sometimes it feels like I’m adding additional items faster than I cross off completed items. So finally, to St Patrick’s day. I showed up at Blue Blazes, and hooray, they did still need me. I was assigned to the main trimmer, and would be helping with the main (ie, grinding on a winch a lot at the appropriate times). The crew filled in, I was introduced to more people than I could remember, and finally we tossed off the dock lines and headed out. Because the entrance to the marina was a tad shallow, several of us had to sit on the boom which was then let out over the water so our weight would heel the boat over, reducing the draft by swinging the keel of the boat so it doesn’t point straight down. Wanting to help, and thinking it looked fun, I hopped on the boom. Once we were out over the water, I realized it was trickier than it looked to balance on the boom, and a mistake by any one of us would probably knock everyone in the water. Thankfully we managed it with out anyone falling in, and once were all back safely on the deck we headed out for the race course. Heeling the boat over some thin water. My best friend for the next few hours. After a bit of waiting, where I found out I was racing on a well maintained 20 year old boat formerly owned by Dennis Conner (and of course named Stars and Stripes at the time), our start arrived. It looked like we did pretty well once it was over, but I confess I was so busy leading up to it I didn’t have that much of a handle on our fleet. 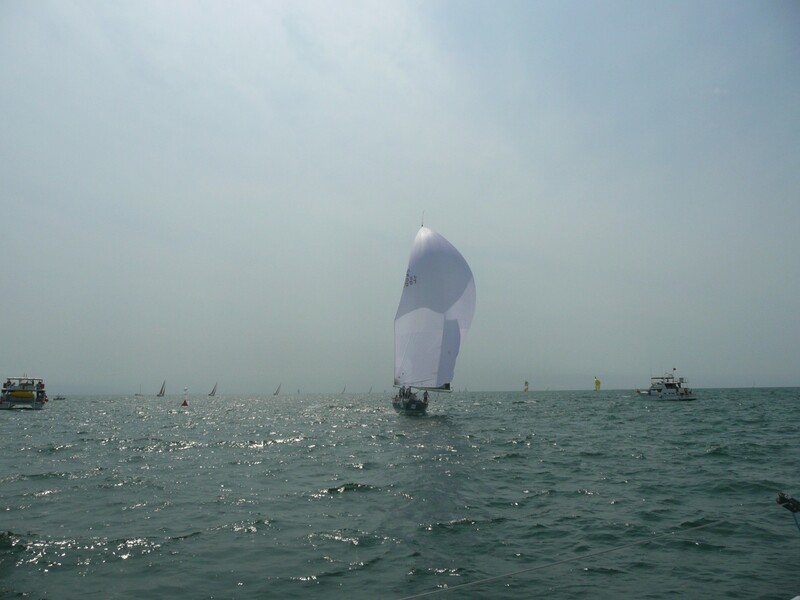 The primary competition was a 1D 48 sailed by the Mexican Marines that we needed to beat to win the division. We proceeded to round every mark in first place, putting about 30 seconds a leg on them. I was having a blast, this was a fast boat, and very well sailed. 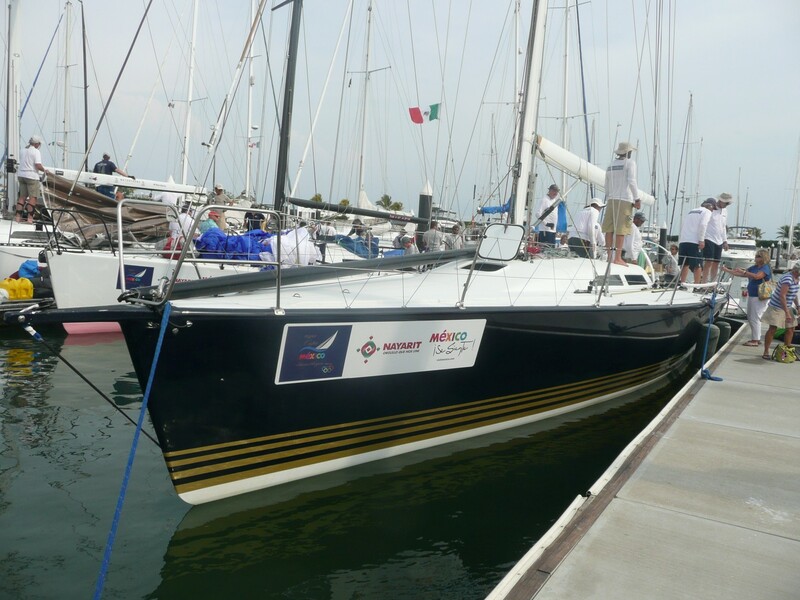 They had just won the San Diego to Puerto Vallarta race, putting in 500 miles in two days while there was good wind. The finish came too soon, and were first across the line. 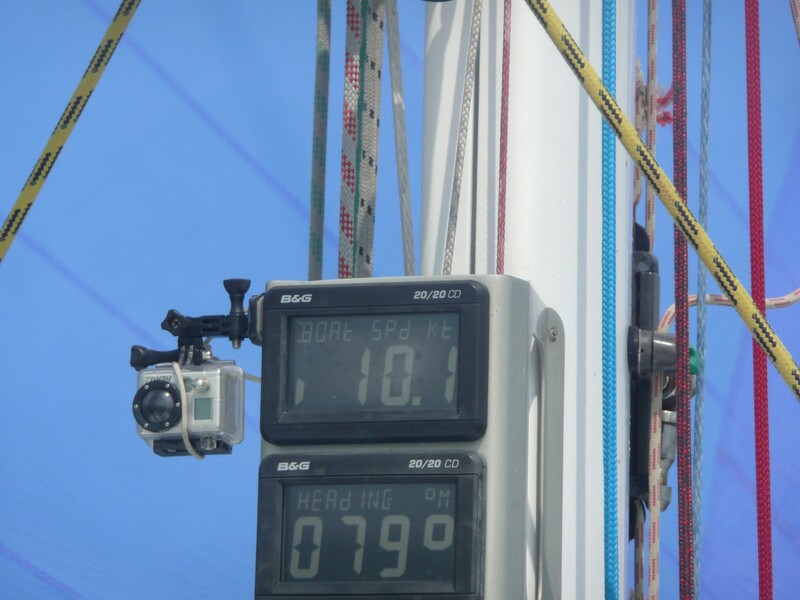 However… the wind had filled behind us and 1D 48 had caught made up about 30 seconds, enough to put them ahead in corrected time. Too bad, but it didn’t ruin my fun. The brain trust at the back of the boat. I've always wanted to man one of these for a race but now I'm not quite so sure. Okay, this was after the race, but still... I'm driving a 50' race boat! All too soon we were back at the marina, and I was back out on the boom for the return through the shallow entrance. Here the worst part of the day occurred, my racing hat got knocked off and we were not in a position to go back for it. At least it wasn’t my favorite one, but I was sad to lose it. 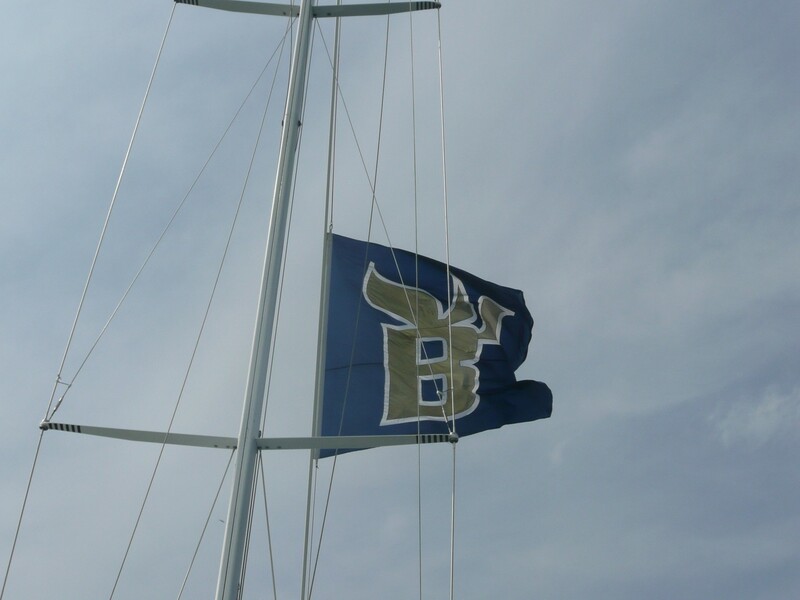 Once back at the slip we folded sails prepped the boat for the delivery back to San Diego. Then some post race drinks while I waited for Jenn to come pick me up. I was thanked for my help and got a “good job.” Take that cruiser guy who said I would have to be a rockstar to sail on one of these boats! 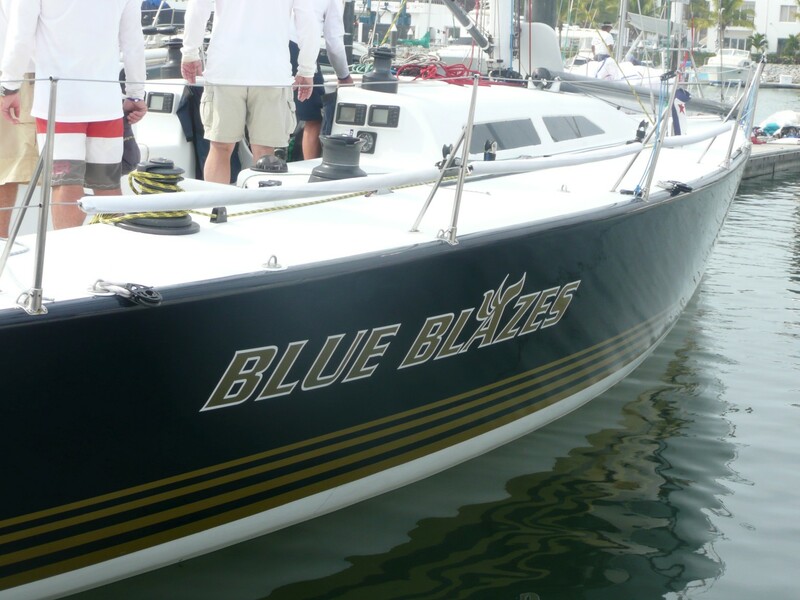 Thanks for a great day on the water, Blue Blazes! With my racing high still coursing through my veins, we set out on part two of St Patrick’s day. Jenn is a big fan of the holiday fostered from her years living in Boston where it is a major holiday. 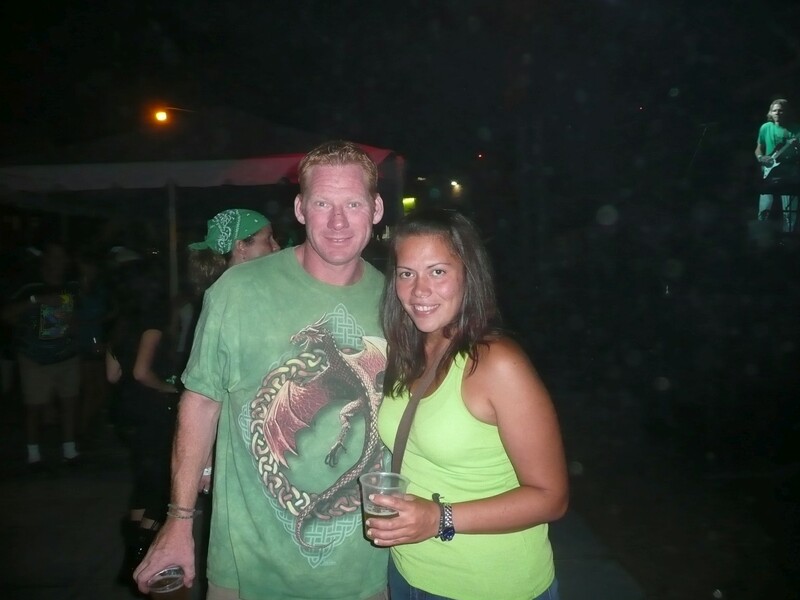 There is an Irish bar in Bucerias, just a short bus ride away, called The Shamrock. It sounded like a good place to celebrate. We cleaned up, found green shirts, and headed out hoping for a big party. As we walked to The Shamrock, the street was blocked off, a large stage was set up with a band playing, and a four trampoline with slide down from the top trampoline in a double decker setup was erected for the kids. We headed to the bar to start out the evening with a couple Guinness beers, and received a rather large shock when the bill for two beers was 180 pesos (about 14 dollars). Pretty steep for two cans of beers (no, it wasn’t even on tap). We drank our beer while recovering from our shock. Compared to the 10 peso drafts back out our favorite bar, this was pretty steep. The party didn’t seem to be in full swing so we went to find some food and returned to normal Mexican prices at a local street side taco stand. Feeling a bit better with a Torta and the the best Adobada tacos Jenn has had in Mexico, we stopped at a tienda and picked up a six pack of Pacifico. Two in Jenn’s purse, two in the handy cruiser Erlin cargo shorts pocket, and two in the plastic glasses the tienda provided that happened to be the exact same ones the Shamrock was serving in. We walked right back in just as the guy out front selling the 50 peso entrance bracelets turned his head the other way. They didn’t seem to be enforcing the bracelets anyway, but we weren’t going to voluntarily fork out for them. We settled in near the stage, and waited for things to really get going. Sadly, they just didn’t pick up. A kind of hippie jam band came on, and seemed to open with their best stuff, causing us to lose interest a few songs in. The crowd, while not sparse, wasn’t really filling in. We didn’t see anyone we knew, and weren’t making any new friends. Finally, after another band started up, we decided we are just in for a swing and a miss on a good St Patrick’s day celebration. Sorry Jenn! I had hoped for a bit more too, but at least I had already managed a beyond amazing experience for the day. Maybe next year we’ll manage something more exciting. On the plus side, we did manage to get a bus back home, rather than paying for a taxi which we expected so late in the evening. Between saving taxi fare, not paying for the bracelet, eating street tacos and bringing in our own beer we broke even on price we paid for the Guinness. 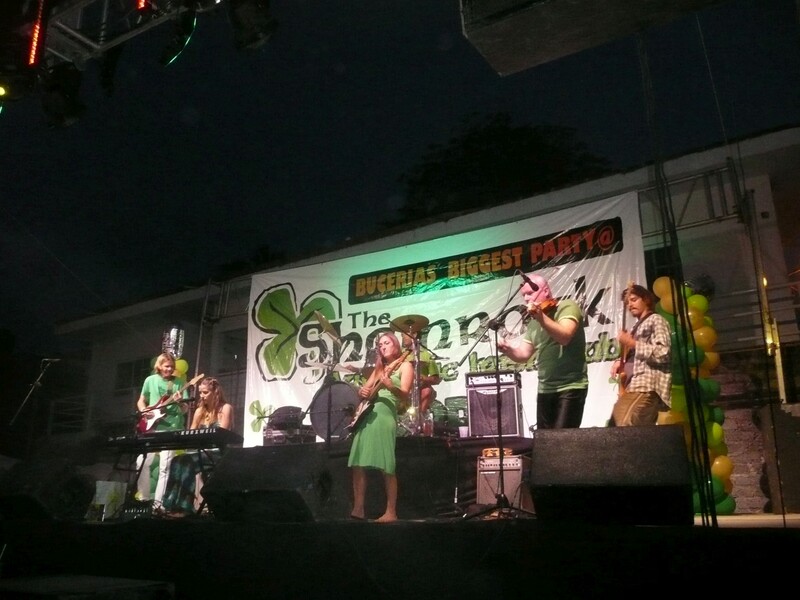 Nothing says St Patrick's day like a hippie jam band. Except maybe a Corona Girl. 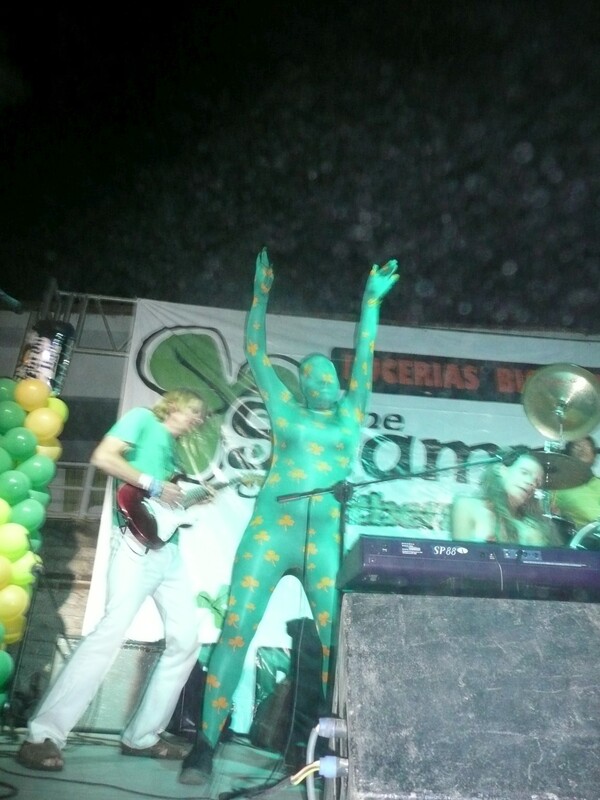 Arriving back in La Cruz, we did the only thing we could do to salvage St Patrick’s day. 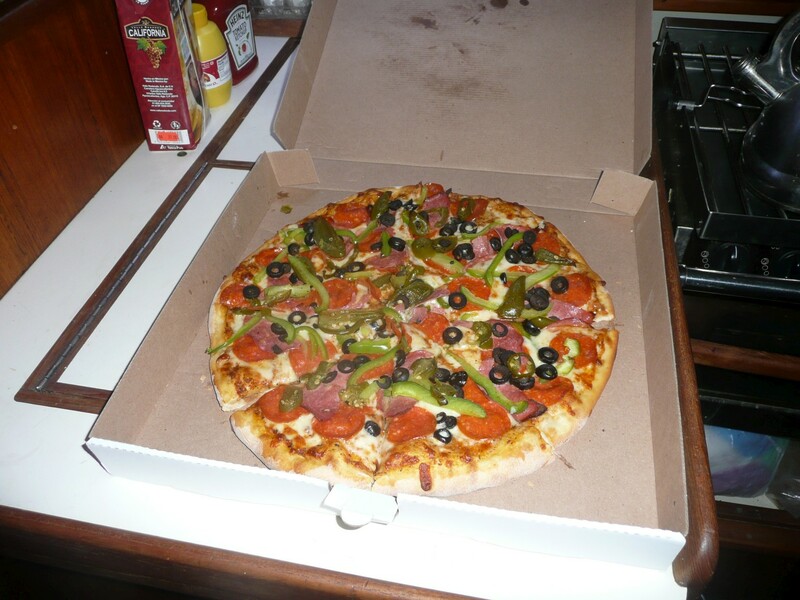 We stopped off at a local place and picked up a pizza to go, took it back to the boat and pigged out (and it wasn’t purchased at Philos, for the record). How to salvage St Patrick's day. Coming up next post, we visit a zoo where you get to feed the animals. This entry was posted in Food, Mexico and tagged Blue Blazes, Farr 40, MEXORC, shamrock bucerias, St Patrick's day by Erlin. Bookmark the permalink. Thanks for the article! Glad you enjoyed Bucerias though. Please check out http://www.bestofbucerias.com as a guide to our great town. I stumbled upon your blog by accident while looking for pictures of Blue Blazes from that week. While I didn’t get a chance to talk to you much the day you came out, it was great having you fill in, you did a fine job, and I’m glad you enjoyed it! If you ever make it up to San Diego, I’ll be sure to give you a Blue Blazes hat to replace the one you lost. Keep up the efforts at racing ’cause I pretty much got my start on Blazes in sort of the same way you did… Just happened to be at the right place at the right time. Good luck with the cruising and the crazy cat. Hit me up on Facebook or something ’cause I’d like to follow your future adventures. Hey Evan – Thanks for comment. I did quite a bit of racing back in Seattle and it was a lot of fun to jump back on a race boat, especially one so well crewed. I’ll look you up if I end up in San Diego, no solid plans but sailing there has been tossed out as an option if we need a close US port for some reason. I’ll look you up on Facebook. I hope you enjoyed the pictures – I have a few more I could send you a I didn’t post all the ones I took.